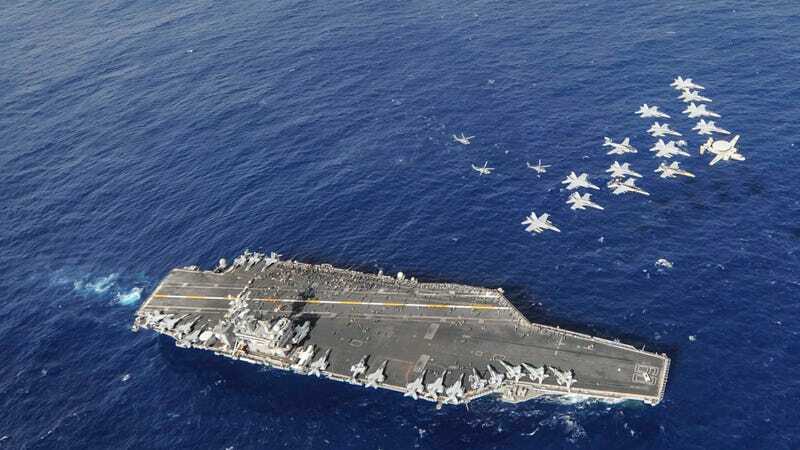 Here's the nuclear aircraft supercarrier USS Nimitz—the lead ship of its class—exhibiting a tiny fraction of its air power in a December 7 photograph taken over the Pacific Ocean. The US Navy has ten more of these nuclear titans, plus another ten carriers for amphibious assault. And then, here's a brief list of the squadrons flying from the Nimitz.